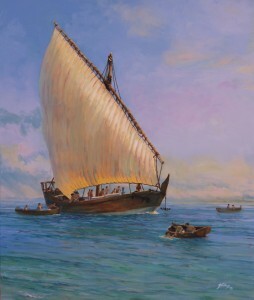 Pearl fishing, Sanbaq dhow about to anchor. 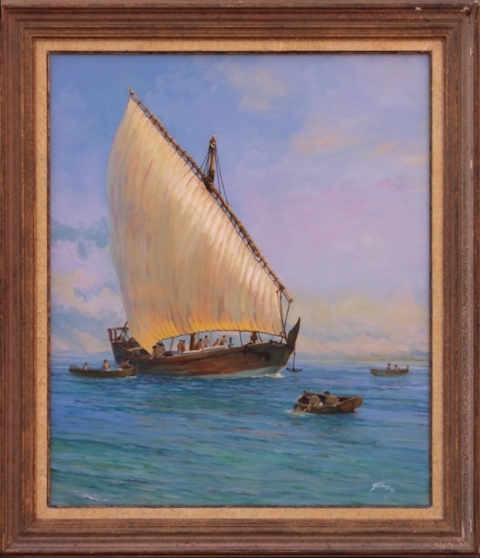 Marine Art 63 x 53 cm (25″ x 21″), oils, available, £2,000., ex studio, ex frame. 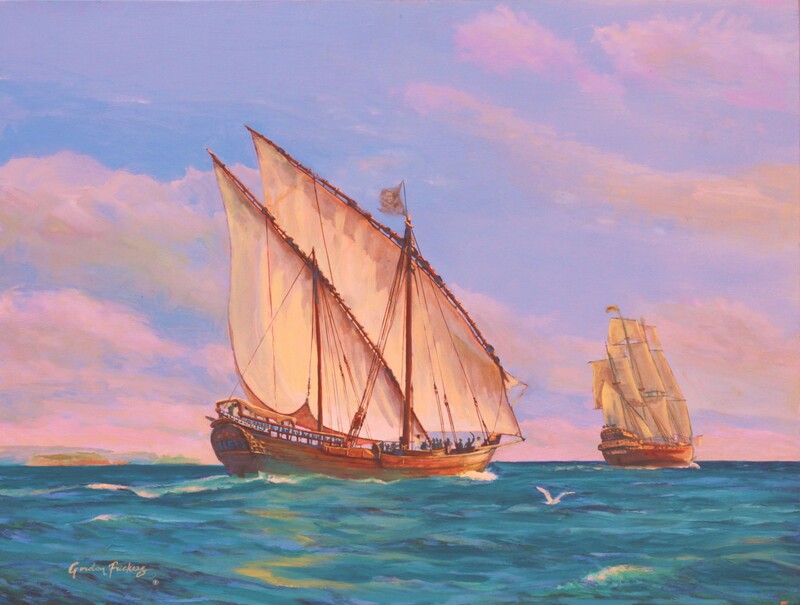 A rare opportunity to acquire a painting of one of these picturesque historic vessels engaged in an ancient and romantic trade, vessels little known beyond their home waters. To think on this, “Sinbad the sailor” and you are on the right track in more senses than one. Produced while I was researching dhows following a commission for several dhow paintings for the public offices of His Majesty Sultan Qaboos Bin Said of Oman. This beautiful tranquil marine painting the “ Pearl fishermen working with a Sanbaq Dhow ” shows men and dhow engaged in an ancient trade. 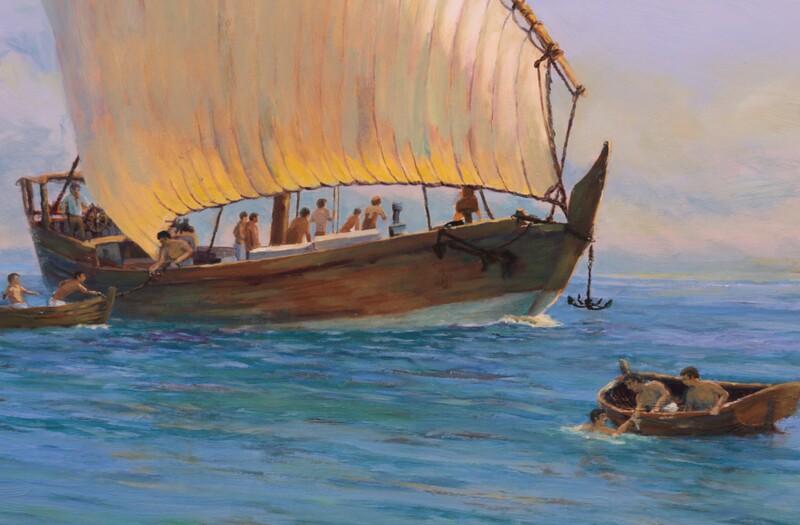 In our scene this dhow is about to luff up and anchor. This fine painting is also available, 63 x 53 cms (25″ x 21″), oils, available, £1,500. Dhows, during their long history, have seen more adventures than there are in Arabian Nights and are still used by Somali Pirates!